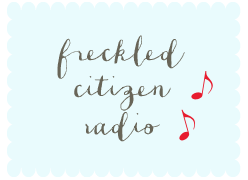 Freckled Citizen: A new chapter. Beautifully written, as always. I'll be crossing my fingers and toes for y'all! I have a friend that spent three years trying and just had a precious baby girl last month through IVF. I am hoping for you. Thinking happy thoughts for you! Best wishes with this! I went through the same thing, spending $$$ out of pocket for IVF, and taking a pic of all the drugs laid out like that! And yeah, I had the same thoughts about why it's so easy for other people to snap their fingers and be pregnant. But you're not alone! I'm praying for you guys! It definitely doesn't seem fair that it's so easy for some and so hard for others that truly deserve it. Not to mention crazy expensive. Yes, it'll be worth it. My fingers are crossed for you. This is a good move. Keep trying. Just keep trying. So full of hope for you. At risk of sounding like ye olde broken record, thank you for this. As usual, you've described this so eloquently, which I know isn't easy.If I were the sort of person who sent hugs or emoticons, I'd send you a hug. I'm about to start in on the injectables/IUI merry-go-round myself, and I can't tell you how much I personally appreciate reading about this from someone who has been there. Fingers crossed for this round to be the one for you! Oh I really hope this is it for you guys. Fingers crossed for you! Thinking of you and hoping for happy news soon! Oh, Maggie. All fingers and toes crossed for you on this. Every day I see a friend who went through two years of fertility treatments, ultrasounds, trigger shots, etc., etc., who is now 17 weeks pregnant with their daughter. There's good juju in the air. Here's hoping it's landed on you. Beautifully said, as always. Sending you lots of hope and hugs! Sending lots of positivity and good thoughts. In case they don't tell you and you have to take progesterone in oil, ice the area 5/10 mins pre-shot and then use a really good heating pad on the area for 10-20 mins after. It really does cut down on the soreness. I learned this after a weekend trip thinking it would be fine without ice packs and heating pad. Uhm, no. As someone who has been there, done that, YOU CAN DO IT! And if you need a good acupuncturist in DC, lemme know! Hugs and kisses and hope to you. So much love for you. Sending positive crazy-science-magic thoughts into the universe on your behalf on the daily. Oh I hope it works for you! My thoughts and prayers are with you both. Been thinking about you a lot lately - sending you an abundance of happy thoughts and good vibes. So poignant and well written, as always! 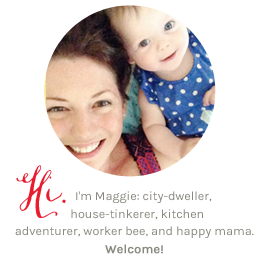 New reader -I sure hope your IVF works! It is so interesting to read the different treatments that others go through with infertility... I was just reading back through your "Needles" post about your IUI treatments. I am just now doing my 2nd IUI but my Dr has me take 5 days of Femara which is normally a breast cancer drug but I do still have to get the HCG shot if I do not ovulate on my own but anyways, again interesting all the different treatment plans there are available. The worst thing for me is looking 3 months pregnant when you are not. I really hope you are successful with your first IVF, that will be my next step too! I can't imagine the pain and frustration that stem from infertility. I hope laying low helps soothe your heart temporarily, if not mend it. Sending prayers and hugs from NC. Admire you so.